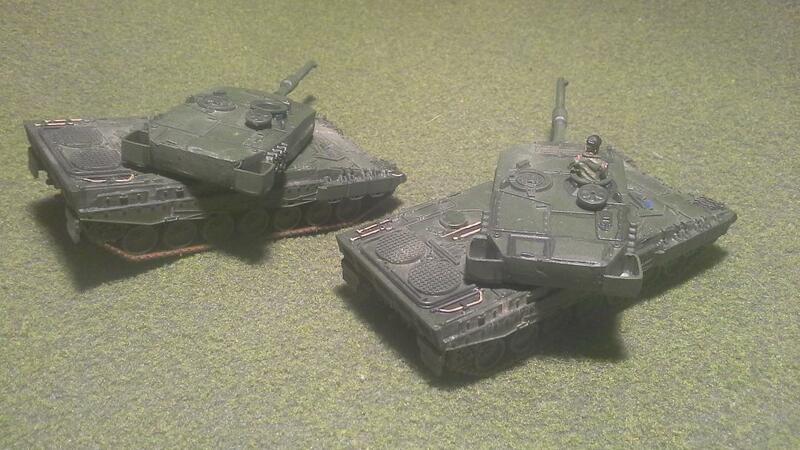 When Team Yankee came out I wanted to do a Canadian army whether they had lists or not. 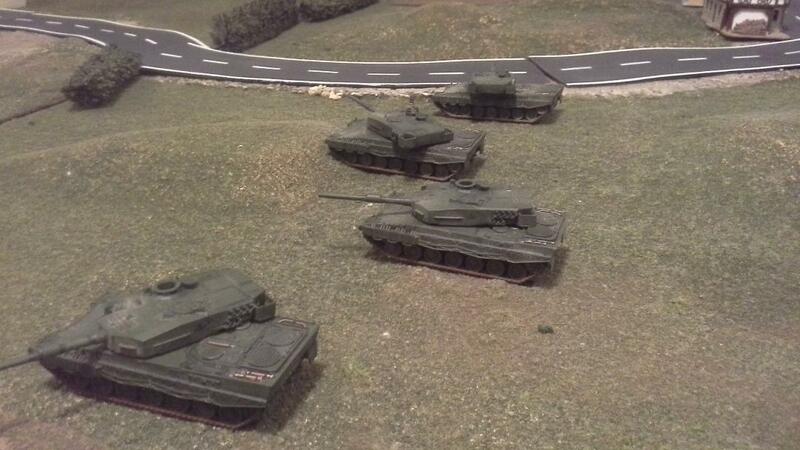 I was actually fielding Canadian troops before Team Yankee came out. For now I'm using the West German Panzertruppen lists as they contain a lot of vehicles that were used by Canada in 1985. Vehicles like the M113, M577, M109 and Leopard 1 could be painted in Canadian cam patterns and the German vehicles would be painted up as West German allies. In the TY time period the West Germans had Leopard 2's, but Canada didn't get that tank until about two decades later (and used Dutch ones at that). 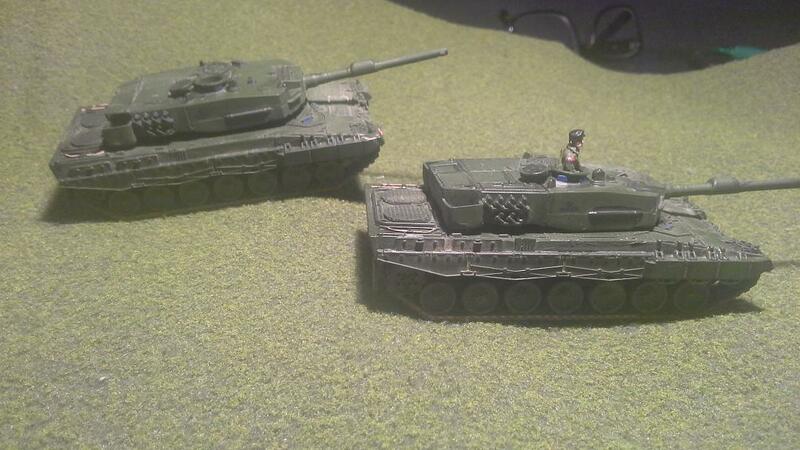 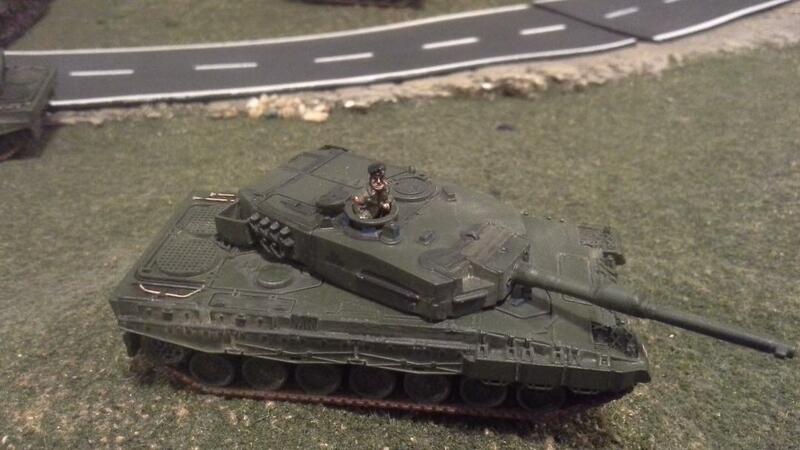 I didn't care about the time difference so I painted up my Leopard 2s as current Canadian Leopard 2A4 CANs. I also made some changes to the turrets to bring them up to date. 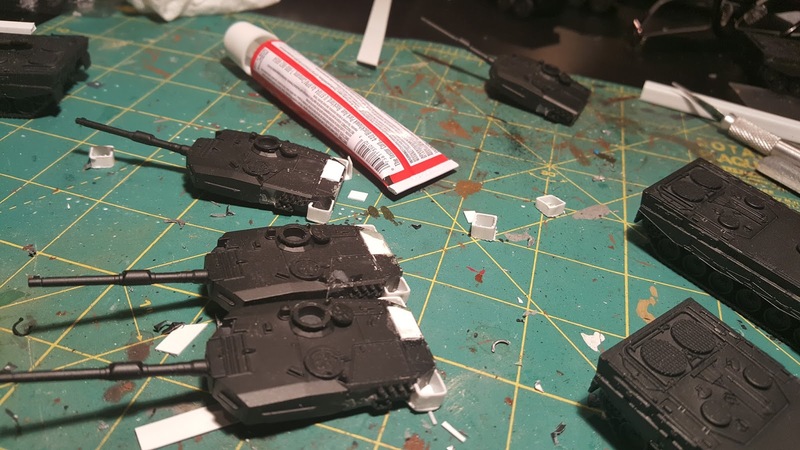 I sanded off some of the smoke launchers and the details on the back of the turret. 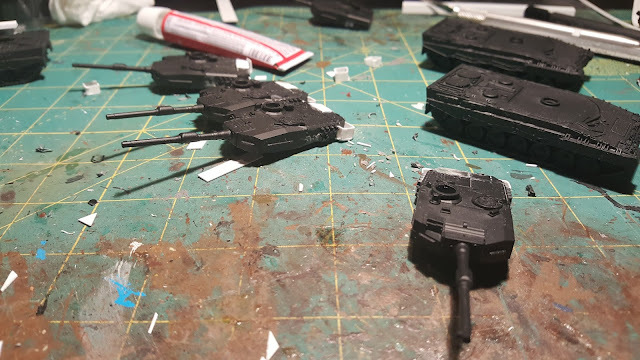 I then added a top to the opening on the top of the turret rear and added the current bins on the rear corners of the turret. 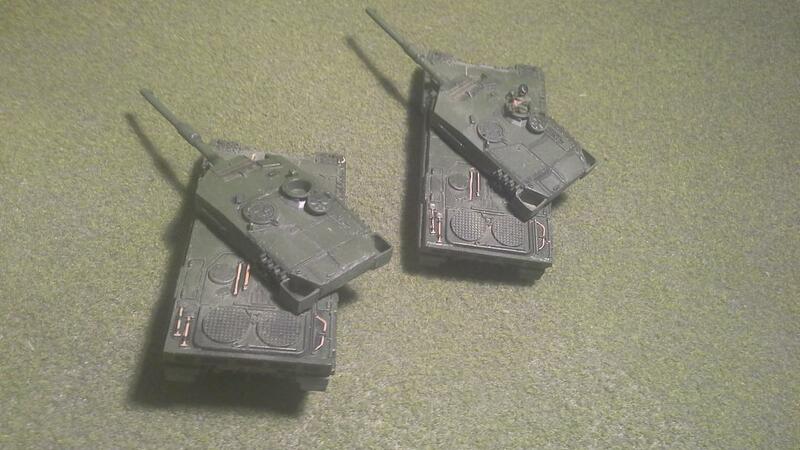 I then painted them in Nato Green, added some flags and the black maple leafs on the turret sides. 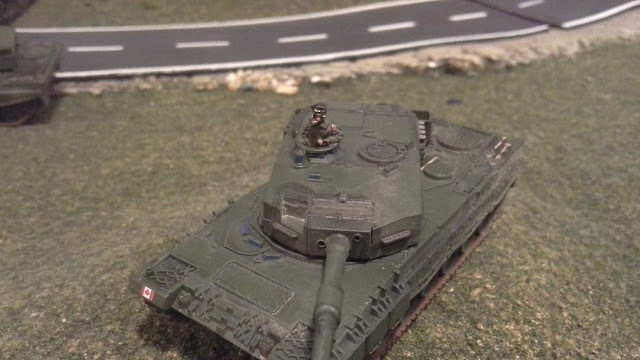 The German crew figures easily matched Canadian crewmen when painted right.